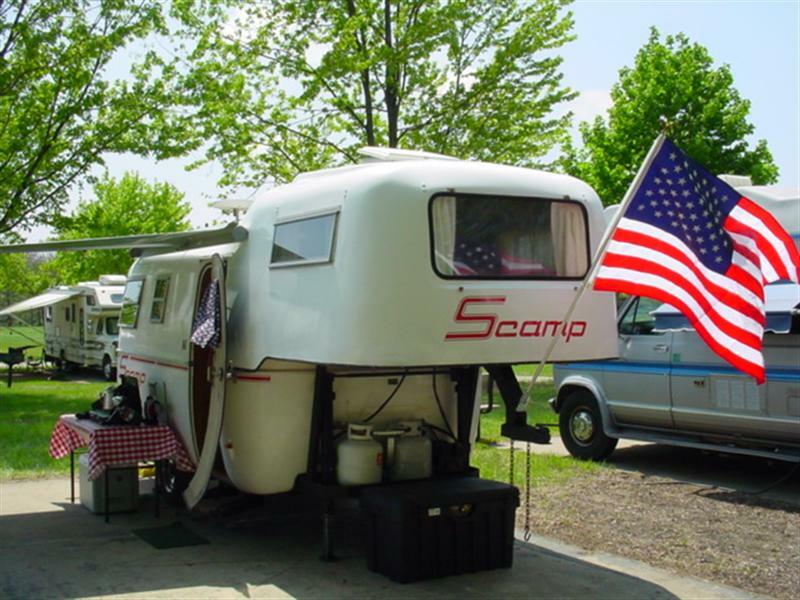 Scamp travel trailers are one of the icons in the "egg class" of travel trailers. Their bodies are made of molded fiberglass which makes them extremely lightweight and durable. The allure with these units is that they can be towed with a small truck, van or SUV. Scamp trailers are built in Backus, Minnesota, using products from suppliers in the United States. These trailers are built by direct order and can either be picked up at the factory, or you can have it delivered to your home by one of their drivers. As far as I have been able to tell, Scamp is the oldest existing manufacturer of the molded fiberglass travel trailer. 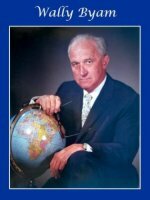 The company was started in 1972 after the Bolar Company went out of business. This left the Eveland's, Inc. with molds for trailer bodies they had purchased the previous year in attempt to expand Bolar, Inc. to the U.S. from Canada. The name Scamp was chosen for this venture. Their first manufacturing facility was an old Ford garage in Backus, MN. from which they manufactured 130 units the first year. In 1975 they built their first manufacturing plant and moved out of the Ford garage. That year they produced 500 units, followed by 600 in 1976 and 700 1n 1977. These were all thirteen foot models with basically the same floor plan. In 1978 the company added the sixteen foot model and then the nineteen foot fifth wheel in 1981. Today all three models are still available in either standard or deluxe editions. Scamp's commitment to quality is evident in many ways. They enjoy a very high customer satisfaction rating with numerous repeat customers, some even buying a third or fourth unit. Trying to find a used Scamp is a task, most owners tend to keep these units a long time. 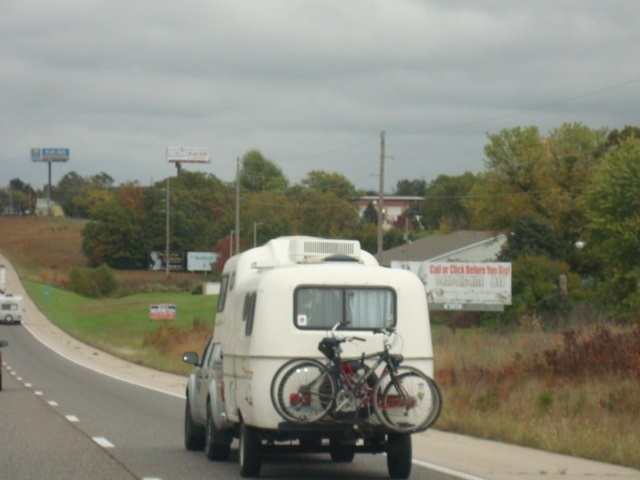 In fact many of the Scamp travel trailers produced in the 1970s are still in use today. Their fiberglass construction not only makes them extremely lightweight, but very durable. The fiberglass body can be easily repaired at any boat or auto body shop that repairs fiberglass, should the need arise. Scamp is available in three trailer lengths. They are thirteen, sixteen and nineteen foot and can be ordered in the standard or deluxe model and come in several different floor plans. The thirteen and sixteen foot models are conventional travel trailers. The nineteen foot model is a fifth wheel version weighing 2,400 to 2,900, a hitch weight of 400 pounds, and a 3,5000 axle weight. As far as I have been able to see, Scamp is the only manufacturer in this class that produces a fifth wheel unit. We personally think it is a very nice unit that is well thought out and put together. The main difference between the standard and deluxe models is in the interior. Both have carpeted walls. The standard models have fiberglass interior paneling and basic cabinetry with wooden doors . The deluxe models feature either oak or birch wood paneling and upgraded cabinetry. Scamp not only allows, but encourages custom ordering your unit. This enables you to purchase a trailer that will completely meet your camping needs for many years to come. For those of you looking for a small and lightweight trailer, we recommend you check out Scamp travel trailers. They do tend to be more expensive than their mainstream counterparts, due largely to the fiberglass molded construction, and many standard features in in the mainstream units are options in the Scamp. Even so, Scamps are well worth the extra dollars when comparing the benefits that were mentioned before. For additional information you can check out the Scamp web page or watch their very informational and interesting You Tube video.